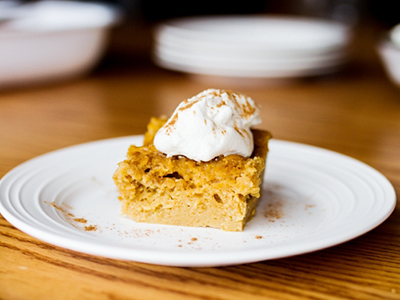 Even pumpkin pie stalwarts will embrace this creamy pumpkin pudding with bourbon whipped cream. 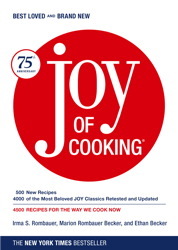 From Joy of Cooking: 75th Anniversary Edition. Preheat the oven to 400°F. Butter a shallow 3-quart baking dish. Add the dry ingredients to the pumpkin mixture and whisk until well blended. Pour the batter into the prepared dish. Bake until the top is deep golden brown and springs back when lightly pressed, about 50 minutes. Beat to the desired consistency. Use immediately or cover and refrigerate.